We are always looking for professional, qualified staff members to join our school district. We hire individuals who hold current credentials and are passionate about education. If you are interested in applying for a current opportunity, please fill out the application at the side of this page. We will keep our job postings up-to-date when we have openings. Interested in working for Bruneau-Grand View? We will post all our current job opportunities here for you. Thank you for your interest in Bruneau-Grand View! 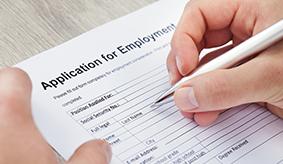 Our employment applications are available for download here, for your convenience. Please save the completed application to your computer; then email it to JayDene Aquiso in our Human Resources Department. We’ve included some valuable forms for our staff members.